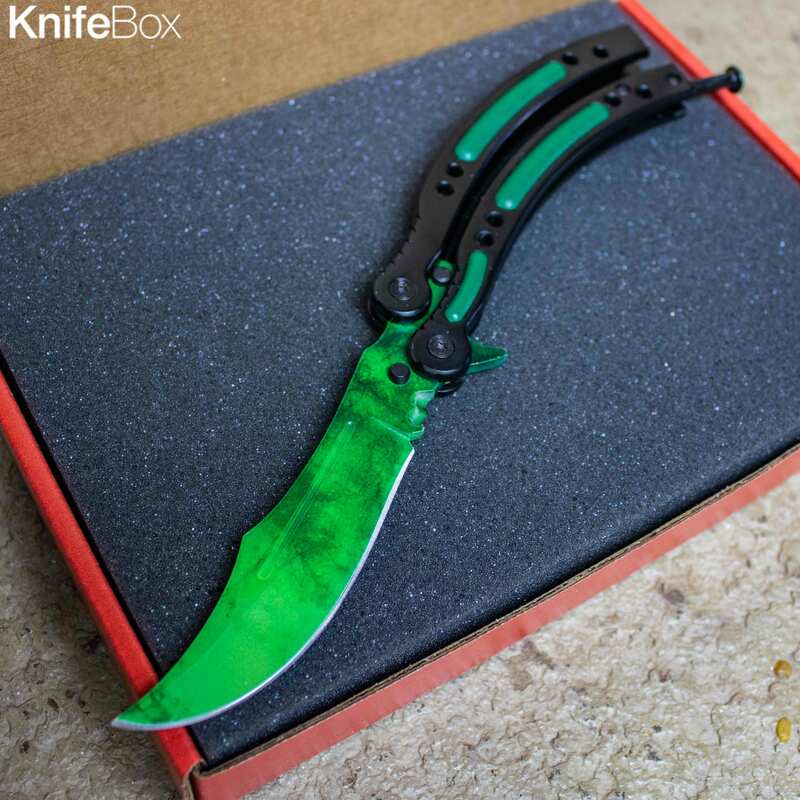 Gamers KnifeBox Brushed Gold on Black video game Inspired Balisong :: This beautiful green balisong features a curved handle and blade for a comfortable grip and a fierce curve with a sharp edge made of stainless steel. Includes carrying case and adjustment tool. 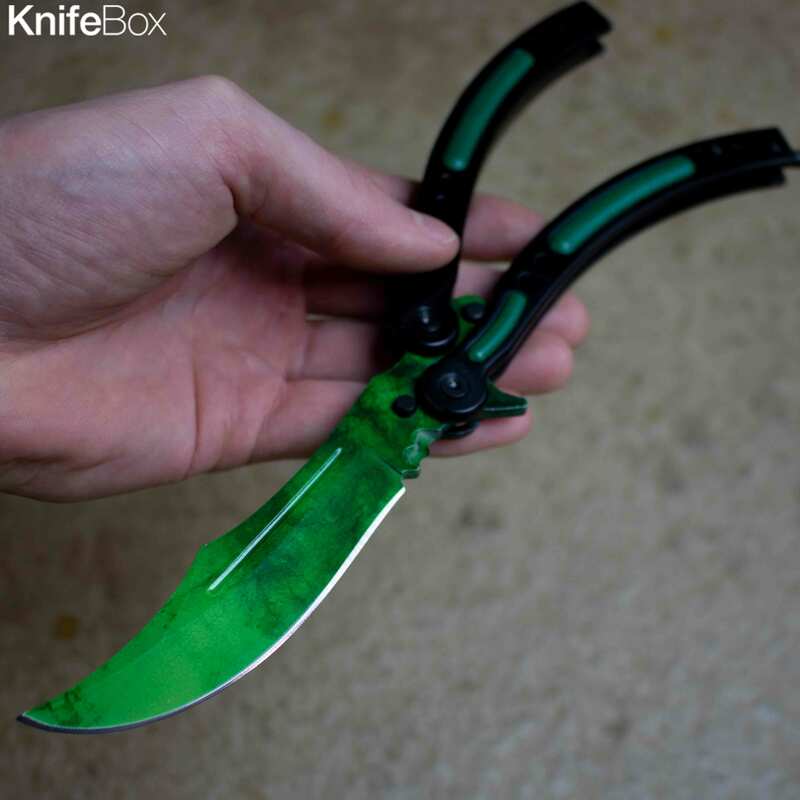 Yet another one of our amazing balisongs!